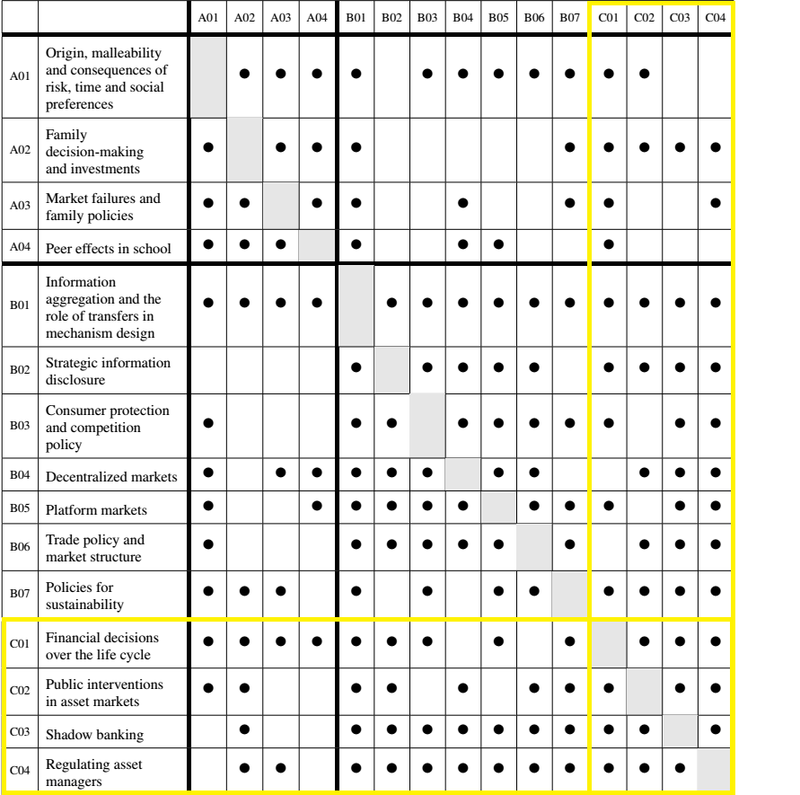 Project area C looks at financial markets from a variety of angles: households, firms, banks, central banks, and the government in its functions as debtor and regulator. The overarching question is about setting the rules of the game: What are good laws and regulations that (a) allow households to smooth consumption over their life cycle; (b) give firms access to funds for investments and as insurance against temporary product market shocks; and (c) promote financial stability? To answer these questions, the projects in area C go beyond the traditional approaches in financial economics in three dimensions. First, they capture the incentives of financial actors more accurately by allowing for deviations from perfectly rational behavior and by analyzing the behavior of individual decision-makers within specific financial institutions. Second, they complement the traditional microeconomic perspective in financial models with a broader macroeconomic perspective that explicitly considers general equilibrium effects. Third, they take a look at the entire financial system, moving beyond traditional regulated institutions (such as banks and insurance companies) to “shadow banks” (especially asset managers), which capture an increasing share of financial activity. Stability of the financial system is crucial for the accumulation of consumer savings over the life cycle. In an aging society, the funding of health expenses and retirement poses severe problems, which are often tackled by shifting from public to private insurance and to the formation of private financial capital. While this shift may be optimal in the context of standard economic life-cycle frameworks, its consequences are less clear when a richer set of motives in life-cycle decision-making is considered.